Having a pond inside your own garden will be very appealing, but it also requires a lot of work for maintenance. So with this you should choose the proper pump. Pond pumps helps the circulation of water inside your pond furthermore it helps you to conserve water and good for your fish and plants. If you want to get a good pump, there are several things to consider. Ideally, the flow should be half of your pond’s volume. For example, if you have 1,500 gallons of water in your pond, the flow should be at least 750 gallons per hour (GPH). This may also varies in waterfalls. Let’s say your waterfall’s width is about 10 inches, then it would need to have at least 100-150 GPH per inch. Having fish in your pond may also requires to increase the flow of water of your pond. In this scenario, the water flow must be doubled. So if you have 1,500 gallons of water in your pond, then 1,500 GPH should be flowing. Thus one of the things to consider is how capable that pump could provide a good water flow inside your pond. The performance of your pump may vary depending on the pressure and resistance it’s pushing against. The total dynamic head, which refers to the elements that add pressure to your pump such as piping, elevation and water flow, is an important factor to take into consideration. The more pressure or resistance your pump meets, the stronger it needs to be. Basically, if you have a 2,000 GPH pump, it is maxed out at just 2,000 GPH. If your total dynamic head is high, you would need to have a bigger or higher-capacity pump. If you have a waterfall, add one foot of head pressure for each foot of vertical lift. Add a foot of head pressure for each 10 feet hose or pipe. Add two feet of head pressure for each 90 degree fitting. Add a foot of head pressure for every other type of fitting. Once you have the total feet of your head pressure determined, you’ll be able to decide which pump is ideal for you. A flow chart is often included by manufacturers for you to reference the rates of the pump’s GPH and total head pressure. Make sure to check out these charts before buying a pond pump to ensure that you’re getting the right one. Another thing to consider , is it beneficial? Since its for maintenance it would cost you a lot? so before buying as well you have to know the use and the difference between the kinds of pumps that you will be using. 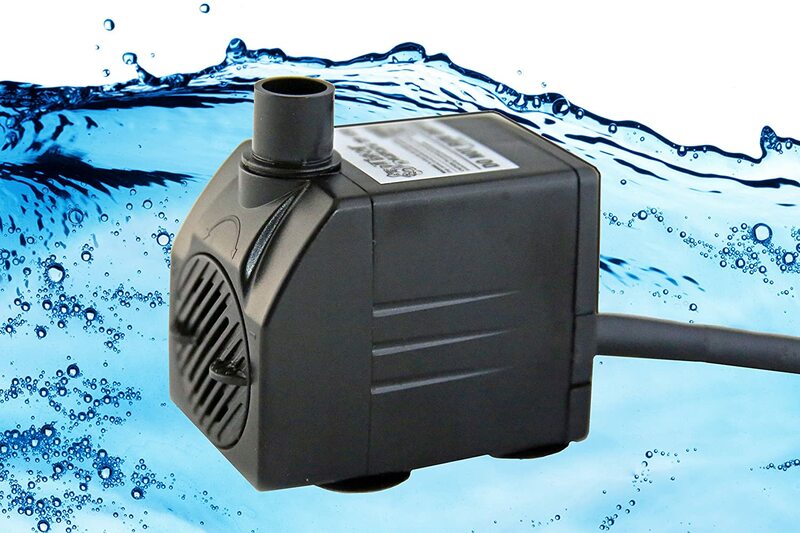 Submersible pumps can be more affordable. It would also be easily hidden from view as it’s placed under the water. If you wouldn’t mind regularly cleaning the pump, a submersible type may be a good choice. External pumps have more longevity and are more energy-efficient. They may involve more complicated plumbing compared to the submersible types, and may have more noise. You might also want to hide the external pumps to keep your garden’s aesthetic appeal. Regardless if you choose a submersible or external pump, one major factor to consider is the product’s warranty. If your pond has fish, the pump will have to run 24/7 so a good warranty system should be in place. Choosing the proper plumbing can also be a factor when selecting the right pond pump. Using an incorrect type of pipe can cause friction and may reduce the water flow your pump can produce. If your water flow is higher than 4,500, you may want to use a 2-inch diameter pipe. Otherwise, your water flow might be disrupted by the pipe itself. It is also recommended that you use a flexible PVC pipe. Why? First it is easier to install, it can also handle all the twists and turns, and it will provide more water flow. Since the pump will be running during the most of the day, you have to consider the electricity costs as well. Most pumps indicate the amount of wattage it uses. Alternatively, you can look for how high the voltage or amps used by each pump. Amps can then be converted to watts by multiplying the amps by volts. Watts divided by 1000 x kWh x number of hours a day x 30.4 days per month. Checking on reviews (online) about pond pumps also needs to be considered. This will give you ideas what type or kind you should use and will give you some sort of advices based from their experiences of using those types of pumps. To help you choose a pump that is suitable for your needs, we’ve rounded up 5 top-rated pond pumps. With a maximum flow rate of 2,000 GPH, this pump can help circulate water with particles or solids and transport them to their suitable external filler systems. It comes with a 16-inch power cord and features a magnetic-driven motor that consumes less electricity. The product also comes with a 3-year warranty that is limited to the pump unit only. Due to its max GPH of 2,000, this pump is good for bigger ponds that have some solid particles. Can handle solids of up to 5/16 inches. Features SPT (Smart Pump Technology), an integrated self-regulating system that monitors the pump’s performance continuously. Can be expensive compared to other brands. The impeller is not covered by the warranty. This pump comes with a protective cage for ponds, to prevent clogging and minimize pump maintenance. With a flow rate of up to 2,695 GPH, its larger cage openings allow solids to be easily processed by the pump. The product also comes with a 20-foot cord and a 3-year warranty. Due to its high GPH, it is suitable for larger ponds and waterfalls. It comes with a protective cage for ponds to prevent clogging. Features Asynchronous Motor Technology that provides hassle-free performance and energy efficiency. Oil-free design that prevents pond contamination. More expensive than the other pumps on this list. 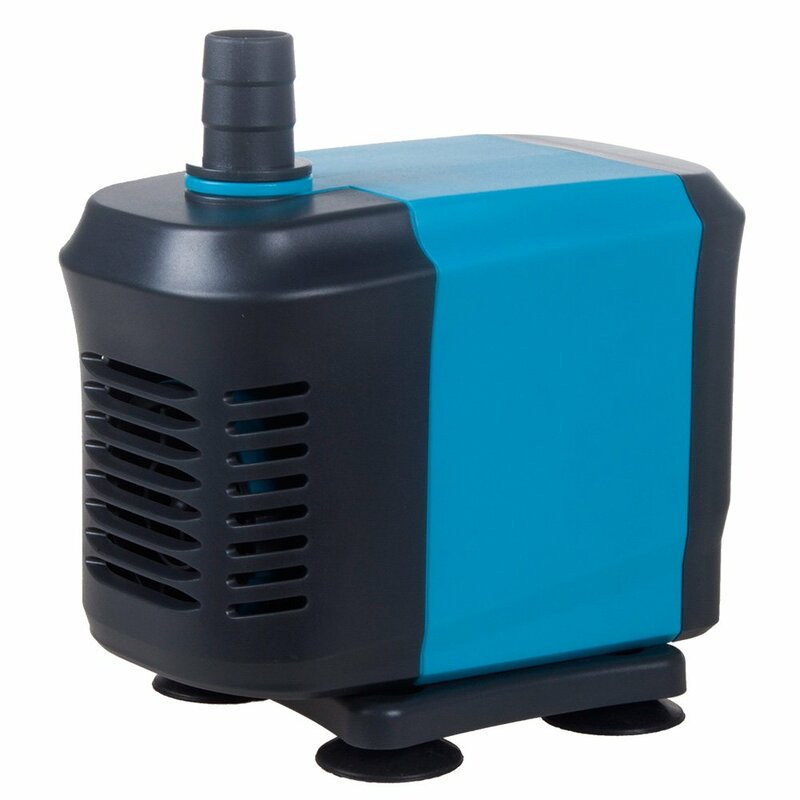 With an adjustable flow rate of up to 120 GPH and a low-noise design, this compact pump is lightweight, durable and efficient. It comes with four individual suction cup feet that may be locked on to any surface, and a 5-feet power cord. This product is suitable for smaller ponds or aquariums. Suction cups can allow for easier installation. Money-back guarantee within the 12-month warranty period. Good for smaller ponds and aquariums. More affordable compared to other products in this list. The 5-feet cord may be too short for a pond. Unlike other products on the list, it does not come with a feature that allows the pump to handle solids—more prone to clogging. 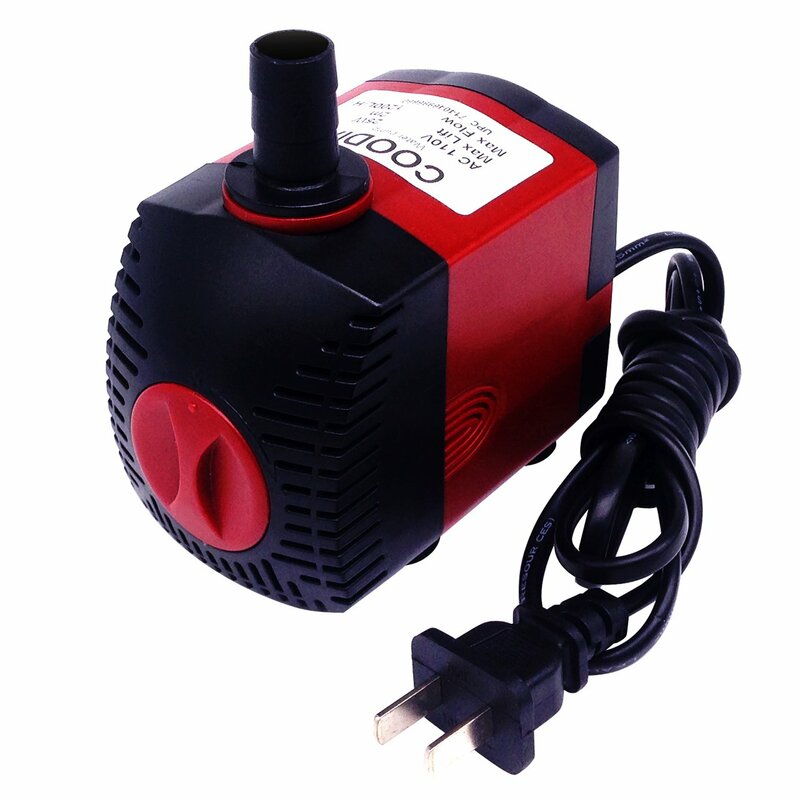 This small yet powerful pump is suitable for medium-sized ponds and aquariums. Its maximum flow rate is at 770 GPH, and it comes with a 1.8-meter cord. The product also comes with 5 gaskets and 2 outlet adaptors. It also features suction cup feet for easier installation. Small and lightweight but has higher GPH compared to Tiger Pumps. 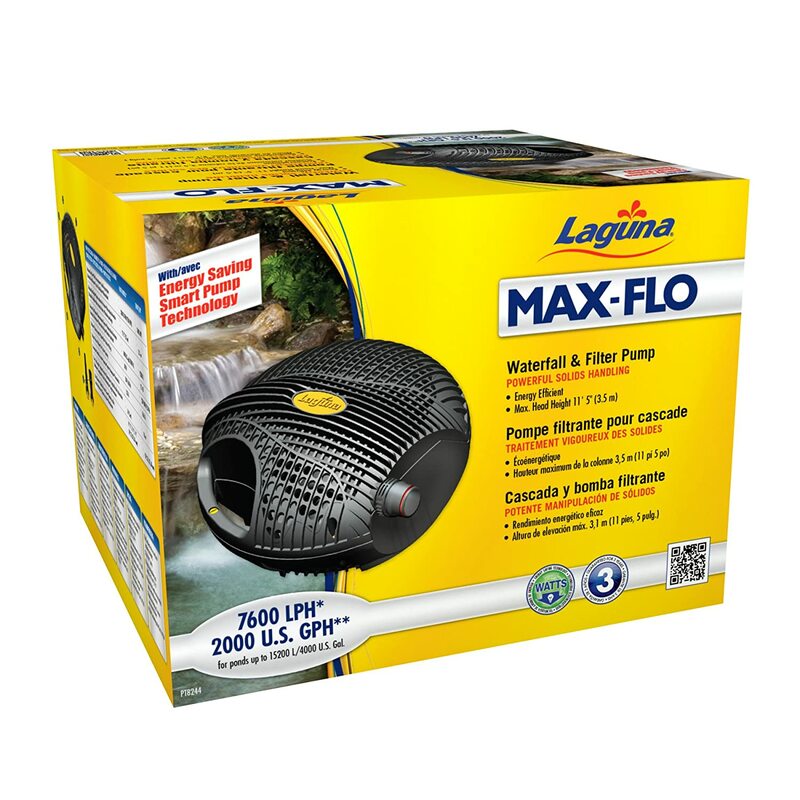 Good for medium-sized ponds or aquariums. Lack of information about warranty. It also does not come with a feature that allows the pump to handle solids. With up to 320 GPH, this pump provides water flow control and a high lift. Using a strong magnetic ceramic rotator, it ensures energy efficiency. It comes with 2 nozzles that allow for easier and more stable installation. It also includes 4 suction cups and a 5.9-feet power cord. The product also offers a 12-month warranty. Good for small to medium-sized ponds and aquariums. Provides easy and stable installation. Quiet operation and energy saving. Up to 6.5 feet high lift. Power cord may be too short for ponds. 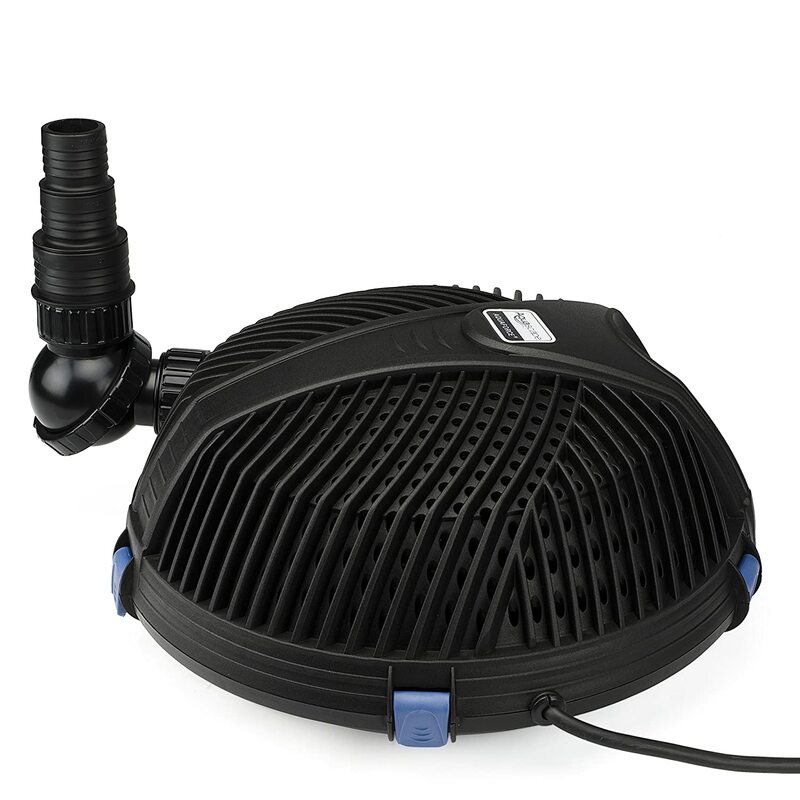 While the pumps are geared for different shapes and sizes of ponds, we’ve concluded that the best pick would be the Aquascape 91012 AquaForce. Its innovative oil-free design and cage that prevents clogging provides convenience and allows for less maintenance. It also features a 20-feet cord, which can give you flexibility on selecting the pump’s location in your pond. The high GPH allows for more water flow, which will work great whether you have a big, medium, or small pond. It can easily accommodate a waterfall as well. Its Asynchronous Motor Technology also gives efficiency and consumes less energy. Nevertheless, all of the products listed offer great features on their own and can be suitable for you depending on your needs. So what have you decided on? Let us know through the comment section below.